theDOCK was founded by veteran Israeli tech leaders, Hannan Carmeli and Nir Gartzman, to deliver practical innovation to port and maritime operations. The first-of-its-kind company aims to leverage local high-tech assets and technology excellence in order to position Israel as a leader in the future smart port and smart maritime sectors. Israel, with a reputation as the ‘Startup Nation’ due to its attitude towards cultivating new companies, is connecting business, NGOs (non-governmental organizations) and government leaders throughout the world with the country’s people and technologies to help them solve their most pressing challenges. After decades of conservative evolution, the logistics domain presents a sea of innovation opportunity, and Maersk is the first global shipper to tap into Israel’s innovation ecosystem. The nation is an acknowledged contributor to disruptive innovation, tapping into technologies such as IoT, big data, AI, data analytics and optimization algorithms. Maersk recognizes this vast potential, and is investing in technology innovation as well as co-creating separate businesses together with start-ups. Newly established roles including digital and innovation officers promote open out-of-the-box thinking and breakthrough innovation. 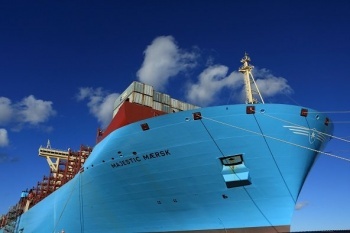 It’s an ideal match that will result in a win-win prospect for both Maersk and Israeli entrepreneurs.